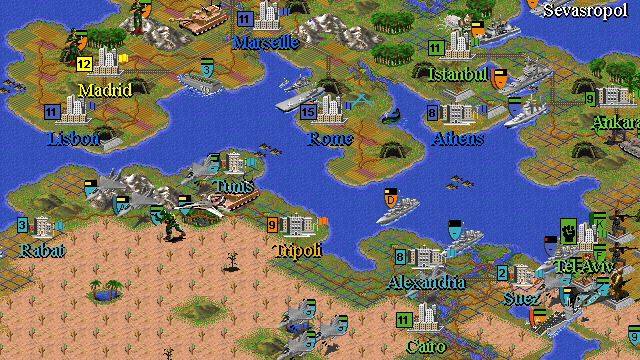 A scenario for Civilization II: Multiplayer Gold Edition by Rob Parente. The United States and Britain have been at war with the newly formed Arab Coalition for almost a year now. Slobodan Milosevic and Saddam Hussein joined forces and started carving up the Balkans, the Middle East, and North Africa. Meanwhile, between 2000-2003, Vladimir Brusilov, descendent of the famous Russian general, led a successful revolution in Russia. He did not return the nation to communism, but placed himself as a dictator with absolute power. He set about restoring Russia's "glory" as he called it by taking back many of the former Soviet republics. In the Pacific, claiming that the Chinese abroad were being persecuted, China invaded Taiwan, after a stiff resistance, the Philippines, Indonesia, Myanmar, and persuaded North Korea and Vietnam to join with them. 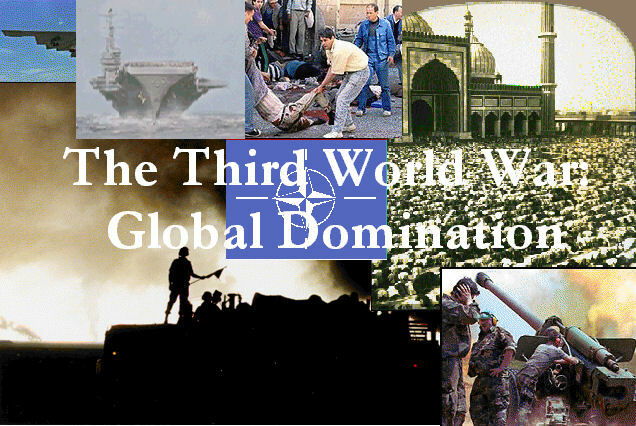 In fear of starting a third world war which was already beginning to take place, the United States did not intervene. In the past year, Russia has worked on new weapons technology like stealth fighters like the Mig-42 and hover technology like the Hoover Craft Destroyer, which is capable of going over any terrain. They also built a massive defensive line that begins in northern Poland and extends to the Black sea. This so called "invincible line" is known as the Russian Imperial Line. Russia has now attacked Germany and it is up to you to decide the fate of the world, whether you will rule it, or restore it to peace.